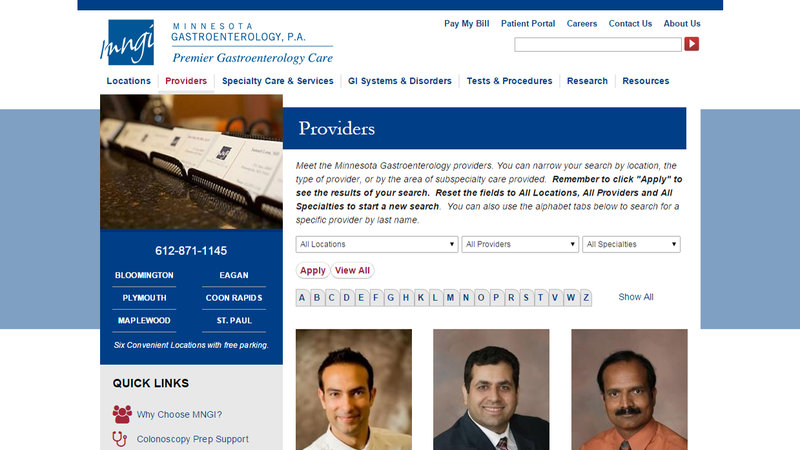 Minnesota Gastroenterology, P.A. 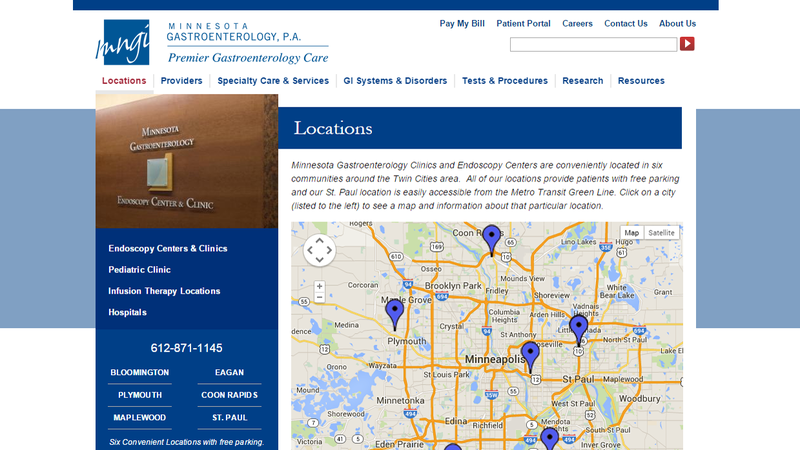 (MNGI) is a Twin Cities-based physician practice specializing in the diagnosis and treatment of adult and pediatric digestive system disorders. 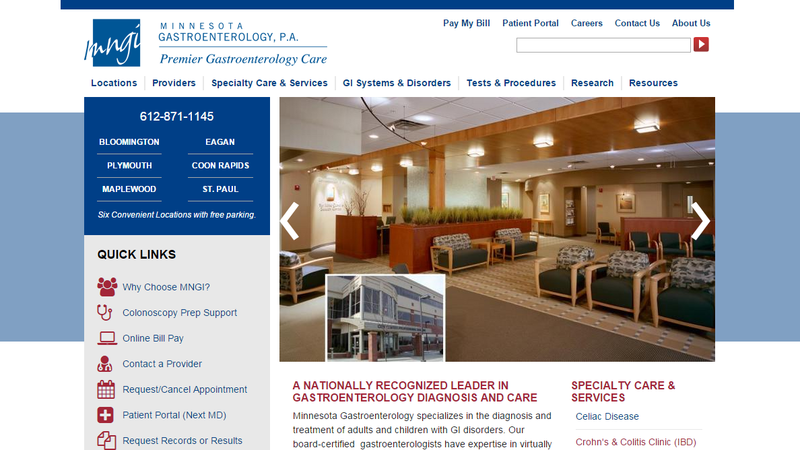 With more than 75 gastroenterologists, physician assistants and nurse practitioners, MNGI is one of the largest and most respected independent specialty practices in the United States providing a full range of cognitive, diagnostic and therapeutic gastrointestinal services to patients from throughout the Upper Midwest. MNGI was interested in providing existing and potential patients with the option to submit information and requests online via the practice’s existing Drupal Website. However, MNGI management was also aware that enabling the collection of this information online required attention to the Health Insurance Portability and Accountability Act (HIPAA) and related standards as they apply to the collection, storage, display and transmission of Electronic Protected Health Information (ePHI). The practice retained DPCI to conduct a security audit of the existing Drupal environment and then enhance the Website to meet the business goals in compliance with HIPAA regulations. DPCI began the engagement with a basic server security audit of the Website production environment. DPCI inspected the environment, including settings, programs, libraries and accessible software, to check for vulnerabilities and then helped MNGI to establish an environment that was in compliance with HIPAA regulations. 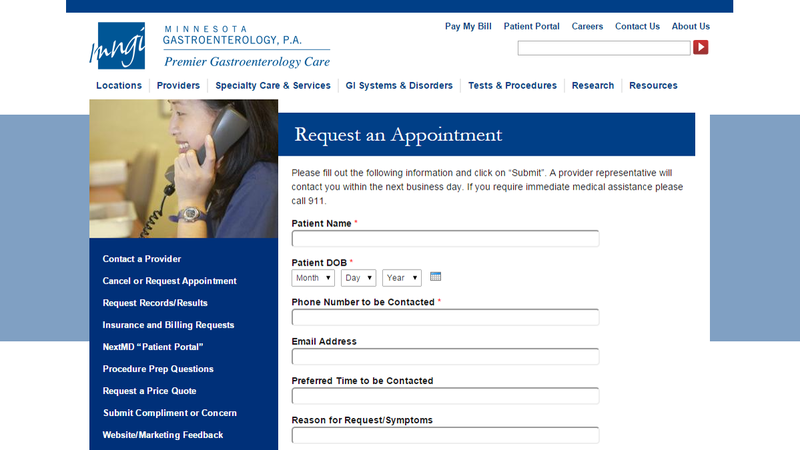 The initial www.mngastro.com Drupal Web content management system implementation only included a simple Contact Us form. For the practice to capture private patient data online, DPCI had to customize the implementation to store data in an encrypted manner. Using the Webform, Encrypt and Webform Encrypt Drupal modules and PHP Mcrypt, DPCI configured eleven data intake forms for existing and potential patients ranging from new appointment and records requests to insurance and billing updates. When data is submitted, designated MNGI staff members receive an email with a link to view the form results within the Drupal Web content management system. 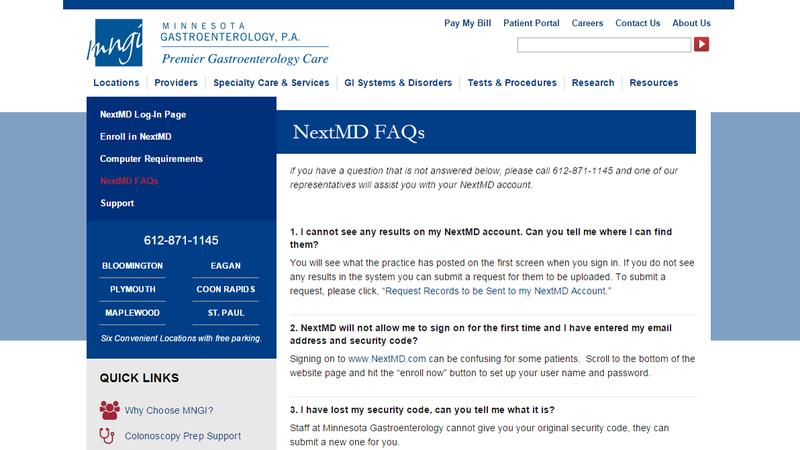 In addition, MNGI was looking for an intuitive method for creating, editing and managing frequently asked questions (FAQ) pages throughout the Website. DPCI implemented a custom FAQ content type and custom view along with the Draggableviews module as a simple way for MNGI content editors to create, edit and reorder frequently asked questions and corresponding answers. With the enhancement of MNGI’s Drupal platform, the practice now has a Web environment that supports the needs of physicians as well as those of existing and prospective patients. Following DPCI’s custom Drupal implementation, patients can request appointments, test results and health records through an intuitive and secure user interface. For patients hesitant to discuss personal ailments over the phone, MNGI’s enhanced Website provides a discreet means of procuring necessary medical services. Patients can also manage insurance and billing information including payment confirmation, balance inquiries and contact information.